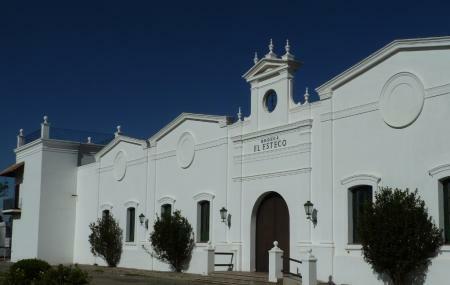 One of the oldest wineries in the Salta province, a short-drive will take visitors to enjoy its delectable range. Guided tours are available or the visitors can opt to stay at the hotel set in the winery and extend this lavish affair. Guided tours costs round about AR 25. Tours are conducted at every hour. Monday to Friday, tour schedule: 10am, 11am, 12 pm, 2:30pm, 3:30pm, 4.30pm, 5:30pm & 6:30pm. Saturday and Sunday, tour schedule: 10am, 11am & 12 pm. How popular is Bodega El Esteco? People normally club together Ruinas De Los Quilmes and Winery Nanni Or Bodega Nanni while planning their visit to Bodega El Esteco. Very fine dining in the middle of vineyards. It’s beautiful and very good. Such an atmosphere and a great service in such a wonderful place. Of course the wine great and it fits from apetizer to dessert. No need to stay at the hotel to have a seat. Had a great piece of meat. Food is really affordable compared to the hotel. We just walked in here. The waiter was really friendly and had us taste some great (expensive) wines from the winery! Ordinary wine at extravagant price. Unfriendly tour. If you don't want tour there is no option for tasting at budget. You can try copas for 75 which is quite bizarre. Haven't experienced this anywhere else in world where tasting is as such.